Where can I find and buy textbooks? 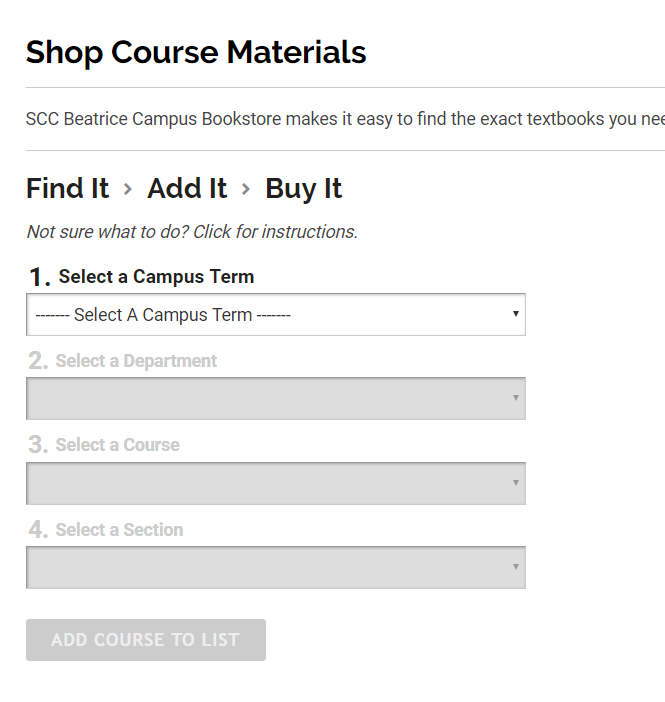 The textbooks needed for a class can be found on the SCC Campus Store website. Navigate to https://sccbookstore.com and select your campus. You will need to know your course name to search for the books you need. 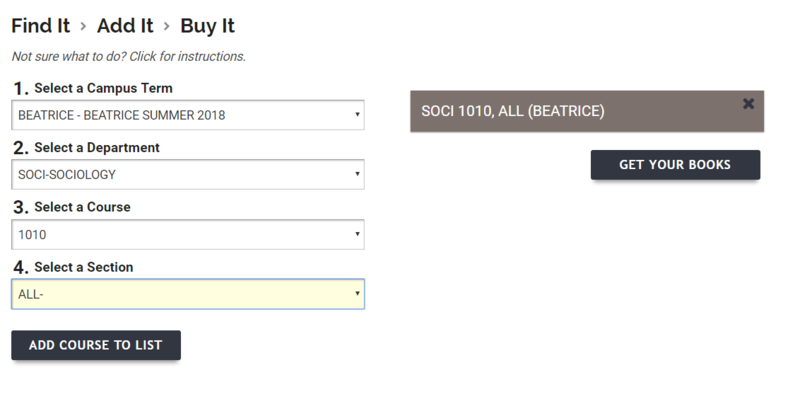 For example, the course name for Introduction to Sociology is SOCI-1010. You may also need your section number. The full course name, including the section number, can be found on your course schedule. Enter the information for the course and click ADD COURSE TO LIST. You can add multiple courses. Click GET YOUR BOOKS when you have added all the courses you need. A list of books for the course(s) you’ve chosen will appear on the next screen. For any questions about purchasing, selling, or renting textbooks, please contact the Campus Store.